The emotional and physical benefits of companionship and spending time with animals can have a direct calming influence on Children and Young People with Special Educational Needs and Disabilities. Animals can be a focus for a child's affection promoting happiness, health and well-being as well as building confidence and self-esteem. 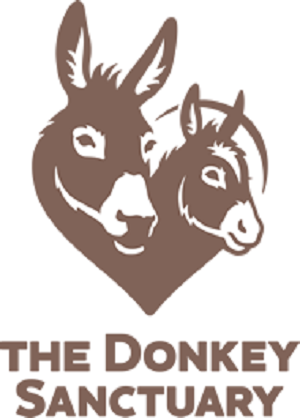 The Donkey Sanctuary offers a number of sessions and activities for children and young people with and without disabilities and additional needs. Even the most upset or withdrawn child is more relaxed when stroking or talking to the donkeys. A confidence shared with a donkey has no chance of being revealed as it can be with a human. Behavioural, Emotional and development needs. What we offer? 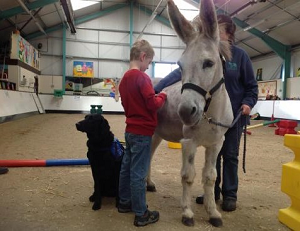 We offer Donkey assisted therapy to children and young people who attend our centre. 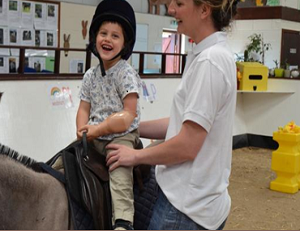 Our qualified riding instructors, our grooms and our volunteers deliver tailored donkey assisted therapy riding sessions in a specially designed indoor arena. Talk to us about your child’s requirements and we can build a session around them. We have worked with children with communication and interaction difficulties such as autism, physical or sensory impairment, learning difficulties, and behavioural, emotional and social development needs. Structured planned rides or cart rides with the most appropriate donkey for each child. Outdoor rides when the weather permits. Fun games, activities and instruction designed to respond to each child’s specific needs. Lots of hands on time with the donkeys including the final thank you and cuddle. Fun, Laughter and Achievements for children big and small. Our donkey assisted therapy centres across the UK are filled with fun, laughter, learning and support. The specially designed arenas provide the perfect setting for our work with hundreds of children with additional needs. This unique and effective form of assisted therapy helps improve confidence, self-esteem, major and minor motor skills, core balance and gives children a real sense of achievement. Our wonderful teams of donkeys love helping both children and adults. Many of these beautiful, intelligent animals have been rescued from a life of neglect, mistreatment or abandonment and have found a new and rewarding life with our donkey assisted therapy teams, meeting and helping thousands of people across the UK. Our donkeys adore all the attention they get from offering this therapy, why don’t you come and pay us a visit? Other reasons to visit the Donkey Sanctuary. 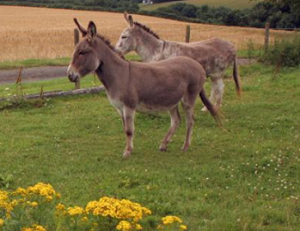 As well as the therapy sessions, the Donkey Sanctuary also has a Gift Shop, Refreshments, Picnic Area, Car Park, Toilets and we can also do group visits as well as birthday party bookings. You could also view adoption donkeys – this is Monday and Sunday: 10:30 to 11:30 and 1:30 to 2:30. Please call before visiting as these dates and times are subject to change. Over the school summer holidays we also offer a full programme of activities – all these are fully booked but to see what sort of things we are doing over the summer and will be doing during school holidays, click here.